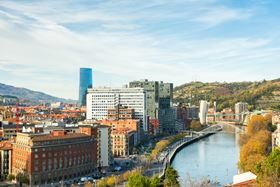 Euro PM2018 is taking place in Bilbao, Spain, from 14–18 October 2018. Abstracts can be submitted online between Wednesday 1 November 2017 and Wednesday 24 January 2018 only via the event website. PM structural (including hard materials and diamond tools). The EPMA is also running the EPMA PM Thesis Competition 2018, which is open to all graduates of a European university whose theses have been officially accepted or approved by the applicant’s teaching establishment during the previous three years. Theses, which must be classified under the topic of powder metallurgy, are judged by an international panel of PM experts, drawn from both academia and industry. Winners are awarded an honorarium and complimentary registration to the congress. More information can be found here.